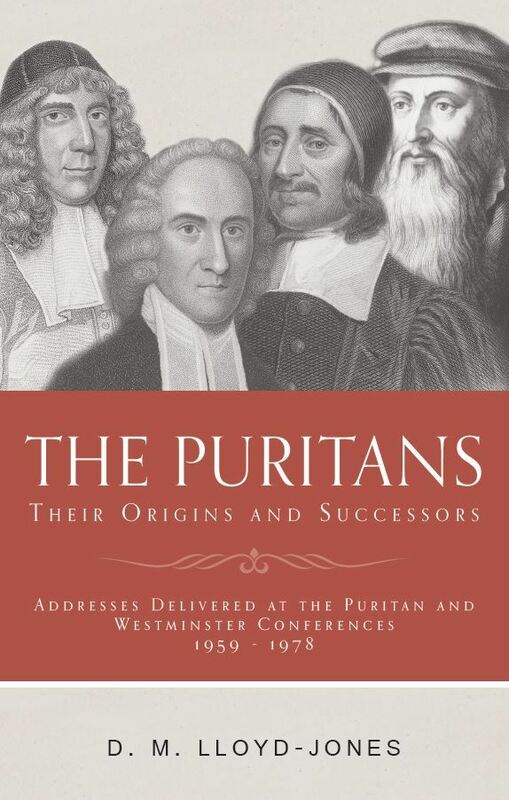 The conference year ends with what we call the ‘Westminster’, or as it was once known, the ‘Puritan’. But back then the conference was nearer Christmas, school and university terms were over and college students, school teachers, and lecturers could attend. I like it then, during the days immediately before Christmas. Now it is in the first week of December and so it is mainly preachers and the retired who can attend. Back in the early days, it began at Westminster Chapel and Dr. Lloyd-Jones gave the closing address. These are all gathered together in his book The Puritans (Banner of Truth). Now it is held in the Salvation Army’s Regent Hall in Oxford Street where it is linked to a splendid charity shop at the back and a cafe in the front. To the left of the building are the finest department stores in London, Selfridges and John Lewis. It is fun to stroll down the street and look at their dressed windows. In the Regent Hall, behind the lectern, a carved wood crib scene has been set out of shepherds, the animals, the holy family, and the baby Jesus in his manger. I remember one innocent student’s wife who brought into the oak entrance hall of Machen Hall, Westminster Seminary, Philadelphia, her own crib scene erecting it on one of the chests in that fine hallway. Professor John Murray was not very happy when he came across it and he quietly gathered the pieces together and put them in a bag and kindly explained to the puzzled wife the requirements of the second commandment which forbids the making of graven images. But we are paying guests of the Salvation Army, and do not rearrange the furniture in someone else’s home. Their hall is perfect for us. One hundred and thirty people had booked in, 90% of them being men. Many travel to London, an expensive venture when one adds up the costs of accommodation, travel, and the conference itself. Why don’t more London pastors attend? It is on their doorstep , they can attend for peanuts and don’t. For the 130 who come each year the conference is a spiritual tonic as well as being quite unique. For example, each 50 minute paper is subsequently discussed for 45 minutes and finally the book of the six papers is published every summer. One lady flies in from Pennsylvania simply to attend. At least two men from the Netherlands are present, and other European countries are represented. All sixty previous conference papers are for sale there, laid out on trestle tables , that is the only bookstall. But a very great delight is in meeting old friends as well as the bitter-sweet of missing those whose pilgrimage is over. The late Erroll Hulse was affectionately remembered by the Conference. Reunions with our brethren are the tops while the papers and their subsequent discussion are the stimulating bonuses. By this year a team of chairman has been nurtured and established, younger and older men, a good mix, and they were quite superb in introducing the Conference speakers, praying and reading Scripture, and then seeking to keep the discussion developing along one theme, something even the incomparable chairman Dr. Lloyd-Jones found difficult to do. The difficulty is not helped by the different backgrounds from which we all come, Wales, Scotland, England, Northern Ireland, Presbyterians, Anglicans, Independents, seceders and non-seceders, psalm singers and hymn singing congregations. We each bring our agendas with us. But two or even three of the sessions’ discussion times this year brilliantly attained a united sphere of discourse. Well done to the chairmen and conferees. Bells rang and puffs of smoke came out of the Regent Hall chimneys. The third paper was given by Andrew Young, the Presbyterian minister of Cheltenham, but yes, another Welshman… (we are taking over). This paper was on ‘Calvin: Worship and Preaching’. It was mainly on worship, and though my hand was lifted up, I could not catch the eye of the chairman, Jeremy Walker, to interject gain , the Conference was spared! Andrew showed how the distinctive theology of the Reformation transformed the church’s public worship. Then on the second day, Phil Arthur, the semi-retired minister from Lancaster (who is certainly not a Welshman) spoke on the life of Jacob Arminius, 1560-1609. It was written and delivered with all Phil’s massive competence. We discussed the presence of Arminians in our congregations and the distinctions needing to be made between the degree of understanding and commitment officers must show , compared to what is demanded from those who are members. The next paper further developed the theme when another non-Welshman, Benedict Bird, spoke brilliantly and wittily on the Synod of Dort (1618-1619). I had never known, or had forgotten the background of the Synod and its consequences, but I have been to the Great Church in Dordrecht and seen the Synod of Dort exhibition including the large and beautiful ‘dolls house’ model of the Synod with all the delegates on their benches in their 17th century clothing. There were a few people attending the conference who told us all that they were certainly Arminians. The man was…yes, you’ve guessed it… a Welshman. Welcome! We were delighted to have them asking questions and protesting. It was familiar ground for the majority and sweetly set before us. What was missing was a kindly basic explanation from Scripture of the five points of Calvinism, showing how our belief in them is based on many plain scriptures demanding we believe what God has taken pains to clearly reveal. None of the five points is the fruit of logic; they are not an imposed system. The Arminian couple were surrounded by affectionate people and encouraged by our delight at their being there. Finally, in the last session, another Welshman (yes, for some reason it was a wonderful conference just for ethnic reasons) stood up and spoke for an hour on the greatest hymnodist that has ever appeared in Wales, or ever will, William Williams, Pantycelyn, the tercentenary of whose birth we are celebrating this year. The speaker, Mark Thomas of Borras Park Evangelical Church in Wrexham in North Wales brought to my attention, and that of the whole audience, fresh information and insights into the theology, pastoral insights, and counselling of this great man. I should know these things as a Welshman. You didn’t realise I was?